If your heart croons for something smart, chic and beautiful, this is it! 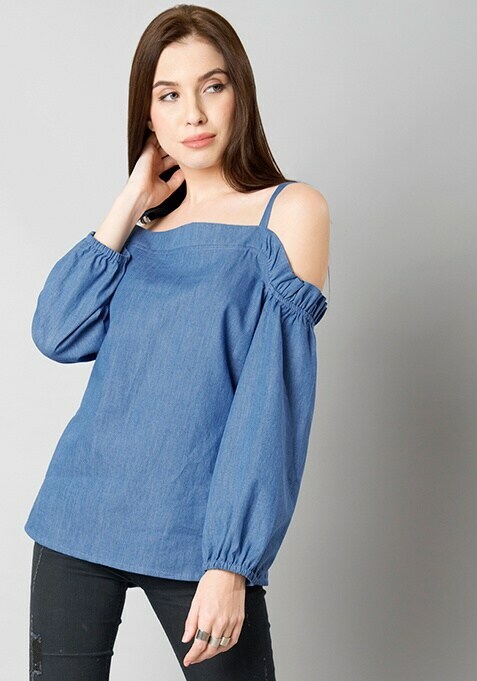 This denim top features strappy cold shoulder look, ruffle details and full sleeves. Work It - Complement it with ripped jeans and high heel sandals.